A common opinion is that a Full-stack Developer is simply someone who is familiar with all layers in computer software development. These developers are not experts at everything; they simply have a functional knowledge and ability to take a concept and turn it into a finished product. Such gurus make building software much easier as they understand how everything works from top to bottom and can anticipate problems accordingly. This may just be the most realistic definition of a Full-stack Web Developer. 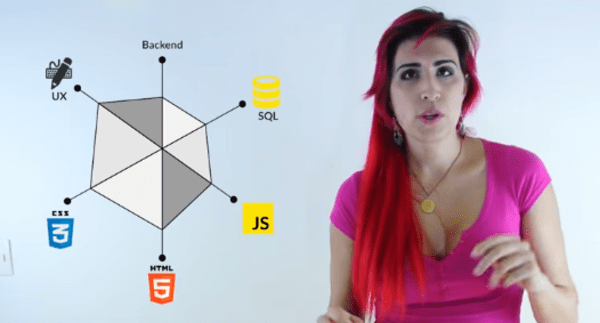 In this course, you will learn about the work of a Full-stack Web Developer. This course is suited, but not limited, to web design professional and students. Appreciate who a full stack web designer is. Know how to start a career in Web development. Do you. Offer certification of this course? I love it, it encouraging. This course is really awesome! I like this site too, and I wish they could advertise jobs for undergraduate also.